Pick of the Day - Made my day! 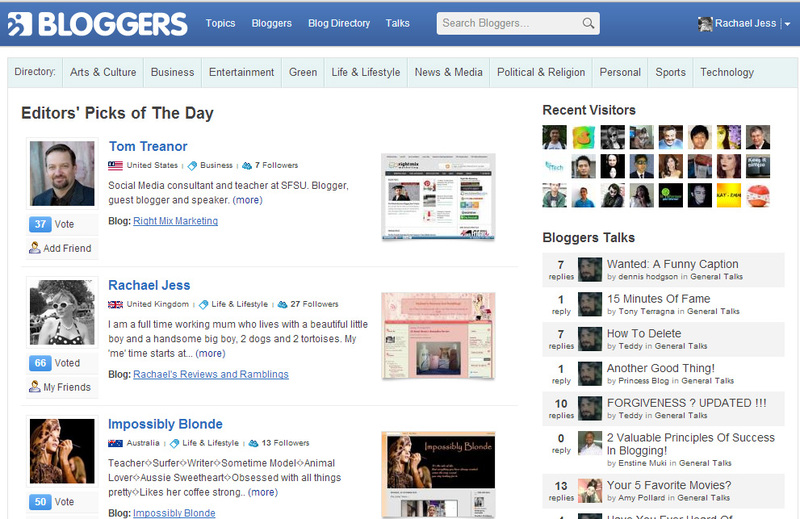 I featured on the front page of a Bloggers website - I'm rather made up about it. Whilst this post is a bit redundant now as Bloggers is no more, I'm still rather chuffed that my blog, still in its infancy stage was seen, selected and featured. Apparently today is the most depressing day of the year - Blue Monday - pfft not for me folks woohoo. How can I be the Featured Blogger? We want to promote Blog profiles who has provided detail information, active and maintaining a Good Blog. To become a candidate of Featured Blogger you must. a. Complete your user profile. We encourage well-written text that describe your interest. Too short profiles mean lack of seriousness. User profile must not contain any URL or Email. Go to User Dashboard > Edit Profile for updating your profile. b. The user must change default Avatar and complete other fields in Account. Avatar with real pictures will get a better chance. c. Blog information should be correct and Submitter must Own the Blog. In case we find it suspicious we may ask to show proof of ownership. d. Any profile or site solely for internet marketing or affiliated marketing will get less chance to be the featured Blogger.